How can the government save journalism? I had an interesting meeting recently with an MP who wanted to get a handle on the state of the media right now and how good journalism could be supported. Rather than just hear my voice I thought it would be worth starting something wider that involves more voices, and point him to this. Release of public data (I’ve made this case before – it’s about helping create efficiencies for anyone reporting on public bodies). He seemed to feel that this argument has already been won. Tax relief on donations to support investigative journalism: a number of philanthropists, foundations, public bodies and charities are starting to fund investigative journalism to fill the ‘market failure’ of commercial news production. 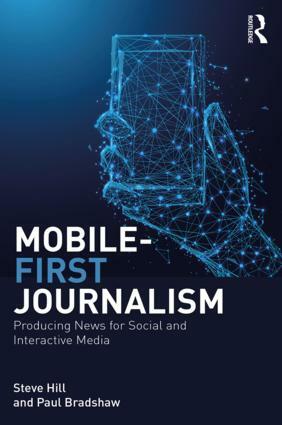 In addition, an increasing amount of investigative journalism is being done by campaigning organisations rather than news organisations, and there is also the opportunity for new types of businesses – social enterprises and community interest companies – to fund journalism. Encouraging innovation and enterprise: as regional publishers reduce their reporting staff and shut down their less profitable publications, gaps are appearing in local news coverage. Local people are launching news sites and blogs to fill those gaps – but not quickly enough, or with the resources, to match what was left behind. Funds to support these startups are much-needed and might also encourage journalists who have been made redundant to put their experience into an independent operation. There is no evidence to suggest that subsidising existing publishers will subsidise journalism; indeed, I would suggest it will stifle local innovation and economic growth. 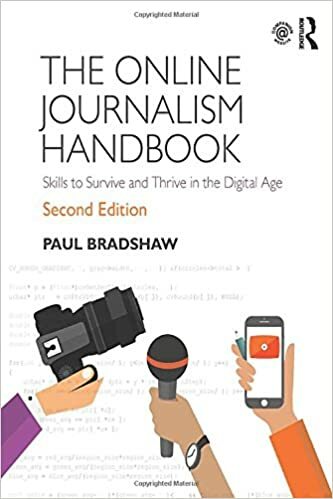 Reskilling of redundant journalists: related to the last point, I would like to see funds made available to help put redundant journalists (more Chris Browns and Rick Waghorns) in a position to launch news startups. They have a wealth of experience, ability, knowledge and contacts that shouldn’t be left to waste – give them online and enterprise skills. An effective local news consortia: The Digital Britain-mooted local news consortia is a vague idea in need of some meat, but clearly it could go some way to meeting the above 2 by supporting local independent media and providing training. Allowing the usual suspects to dominate any new operation will see business as usual, and innovative independent operators – including those who work on a non-commercial basis – will quickly become disillusioned. The idea of putting some or all of the commissioning process in the hands of the public, for instance, could be very interesting. Address libel laws: one of the biggest obstacles to investigative reporting is the potential legal costs. Most newspapers now make a hard commercial decision on stories: if the story is worth enough money to make it worth fighting, it gets published; otherwise, it doesn’t. Public interest or importance is not the major factor other than in how it affects likely sales. Likewise, startup operations are likely to shy away from edgier reporting if they feel they can’t afford to fight for it in the courts. Stopping councils from suing for libel was an important step; keeping libel laws out of science should be the next one – and it shouldn’t stop there. So those are the ideas that occurred to me. What would you suggest this MP, and government, do to help journalism? This entry was posted in online journalism, regulation and tagged chris brown, commissioning, data, Digital Britain, donations, enterprise, investigative journalism, journalism, libel, news consortia, Publishing, redundant journalists, rick waghorn, tax relief, training on August 21, 2009 by Paul Bradshaw. The biggest problem for newspapers is not falling readerships, it is falling advertising revenue. It is the move from local monopolies to a global platform where competition is everywhere, and advertising less lucrative. This entry was posted in online journalism and tagged ad sales, addiply, AdSense, advertising, adwords, banner advertising, banner blindness, brochureware, cpa, cpm, deliveringqc.com, long tail, rick waghorn, search marketing, shovelware, video advertising, vouchers, widgets on August 29, 2008 by Paul Bradshaw. This entry was posted in online journalism and tagged anton grutzmacher, Chris Anderson, enterprise, hitwise, long tail, media money, myfootballwriter, peter kirwan, press gazette, rick waghorn, UCLAN, Wired on April 24, 2008 by Paul Bradshaw.